If there is a serial entrepreneur, then there is also a serial inventor. I don’t mean the great Leonardo Da Vinci, but someone more native to our timeline. Adrian Van Anz is a veteran tinkerer (aka inventor) who successfully made a name for himself—and his inventions. His most recent, the Derringer, was featured in an insightful article on Forbes by Zack O’Malley Greenburg. In the article, Van Anz talks about how his pet project turned into a million dollar business after he took it for a ride to a coffee shop and a stranger offered to buy it for $5000, spot cash. Like Van Anz, anyone can have million dollar business of their own. These days you don’t even really need that groundbreaking idea or exceptionally technical skills. As long as you have the determination and passion, you can start a business overnight, find investors within a few days to a couple of months, and start marketing your products or services within a heartbeat. Outsourcing technical processes to a BPO company will allow you to start an IT company with only the basest of knowledge in information technology. Looking for the capital that you need to fund your business venture can be accomplished through crowdfunding, especially through sites like Kickstarter. You may even be lucky enough to snag an angel investor to provide you a larger seed capital. Social media and email marketing can easily bring traffic to your website and give you the initial business and sales leads that you need. However, converting those sales leads into real profits is where the real challenge lies. For most amateur business owners, this is the hardest part of starting a business. 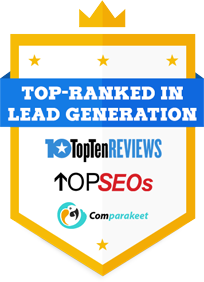 Though you may find hot sales leads or business leads through your own marketing efforts, hiring a lead generation company to find your business leads or sales leads for you will help you grow your business faster. Furthermore, having a professional quality analyst sort through your business list and narrow down the warm and hot leads will reduce the stress and effort that you need to expend to convert your prospects.Hiring a lead generation firm is similar to outsourcing business operations to a professional technical team. You seek their help because they have the skills and experience required to fulfill the task that you need completed. Aside from that, a lead generation company may also offer database management, data profiling services or CRM software which will help you manage your customers properly—an important aspect if you want a long term business relationship with your customers.